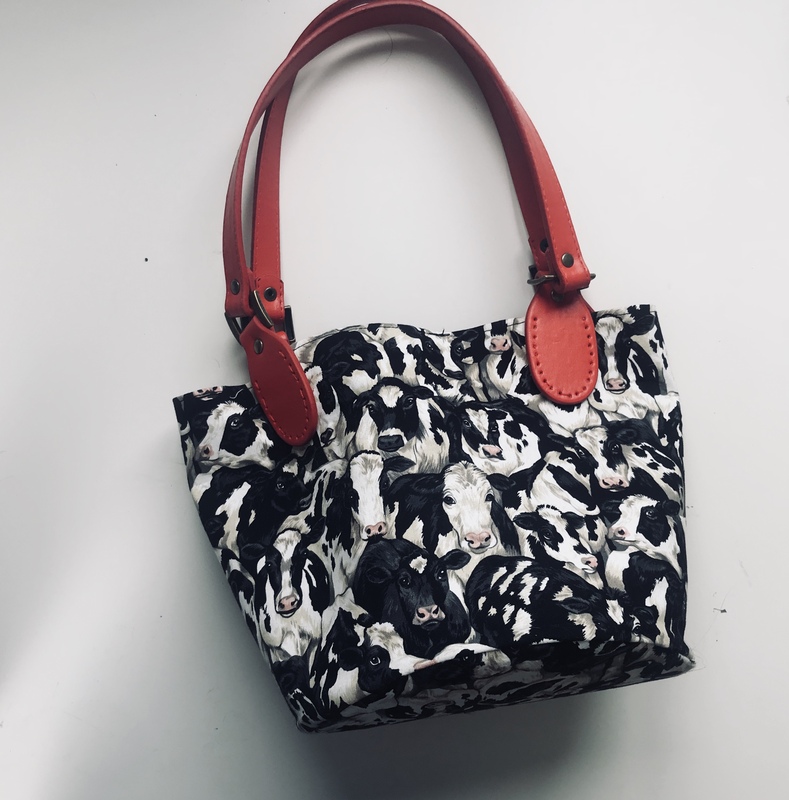 Fine, that title may have been click bait...but sewing yourself a cow print bag is a dang good way to start! September is upon us. Uncomfortable jeans are back on and movement is once again limited by puffer jackets. My phone attempts a break-out from my pocket every time I do more than 2 steps, I spend 10 minutes digging through all my jackets for the only lipstick which matches my outfit, then I realise my wallet is in one of those jackets too and finally I run out the door already late for work...only to realise its 18 degrees and I didn't need a jacket at all. After many meetings, debates and phonecalls we at Fabric Yard have devised the perfect plan. It's covered in cows and has lovely, soft, red handles. The best thing? It holds all those things I probably won't need, but definitely have to bring!